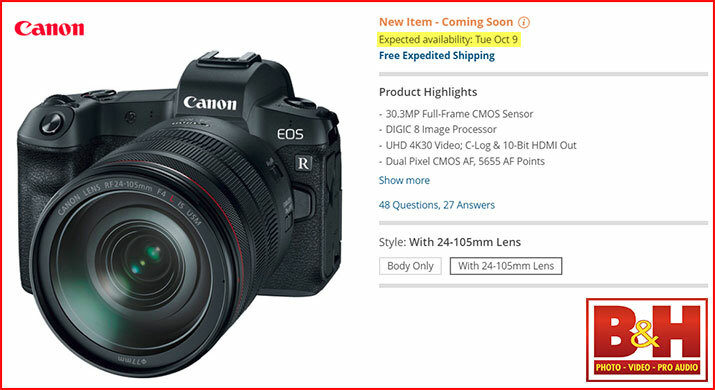 According to B&H, the Canon EOS R and the other items announced alongside are scheduled to arrive Tuesday, October 9. As always, your use of these links for your preorders or any other purchase supports this site! ** Variable ND version scheduled to arrive October 9. Circular Polarizer version scheduled to arrive in February 2019.